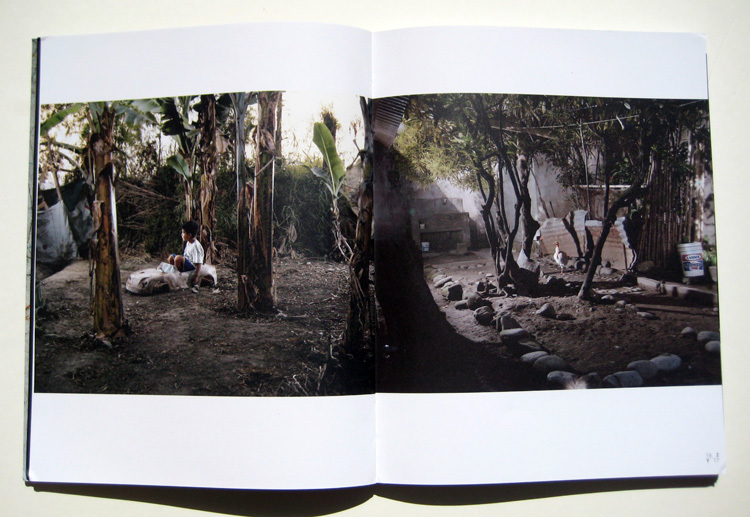 Zapallal and Yurinaki are two towns outside Lima, Peru, documented by Andrés Marroquín Winkelmann who left his native Peru for Germany at age 20. Returning as a European-educated photographer, the project that became Zapallal|Yurinaki is Marroquín Winkelmann’s photographic effort to address the 40% poverty in Peru and the invisibleness of those trapped below the line. Getting involved in the communities by developing photographic workshops for the village youth, Marroquín Winkelmann also undertook the assignments, purposely shooting from a low vantage point like those of his youthful cohorts. These workshops resulted in a group exhibition where Marroquín Winkelmann’s photographs were reportedly indistinguishable from those of the children. This was just one element in his earnest collaboration with these villages, an attempt to give a photographic voice to people who have been “visually under represented,” as Jorge Villacorta says in one of the accompanying essays, and resulting in this wonderful book. The book has an unique design -- raw boards with images affixed to the front and back covers, the endpapers are printed with a photograph of children's scribbles on a wall, giving the impression that the endpapers themselves have been graffittied. This immediately sets the tone for the book, one that is focused on the people and scenes in the pages. Opening the endpaper, the images begin at once, but in a peculiar fashion. 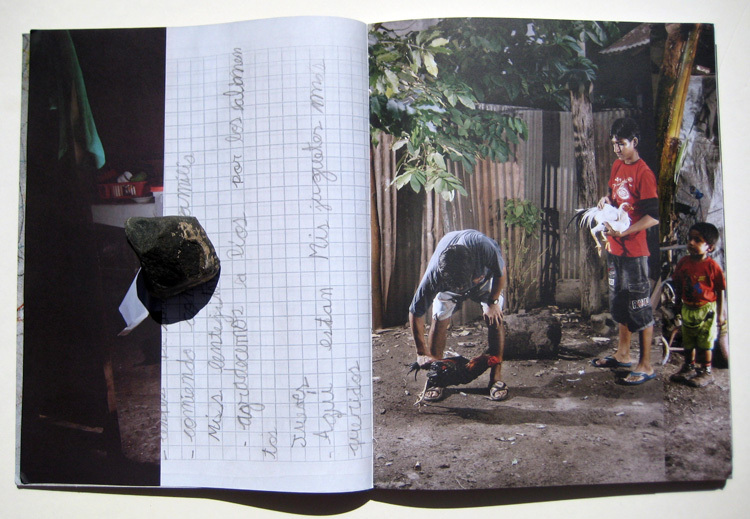 On the right-hand page, four images overlay in partial pages, creating a collage of humans and animals. 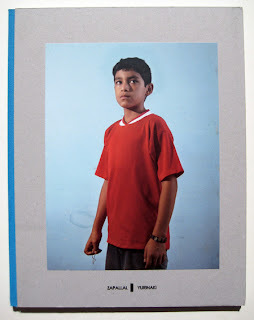 As each of these smaller pages is turned, text is revealed on the other side, images of cursive handwriting in Spanish, describing the subjects of photographs: "This is a photo of my pet named Rayo," "Here are my favorite toys," "My brother Michel." These descriptive half-pages are mirrored on the other side of the book, closing out this series of photographs with the words of those captured in the images. It is an appropriate opening for an unusual documentary project, one in which scenes were staged and chosen by the subjects in collaboration with the photographer. This technique has the potential to provide an uncommon documentary, extending the photographic vision beyond one set of eyes to many, ostensibly giving the subjects and community at large a better ability to portray themselves and their home the way it is seen from the inside. But it could, of course, just as easily head in the opposite direction, generating a body of work without unifying direction or vision, a collection of images created by committee, or a sanitized version of life, one that reflects the subjects wishful projections rather than daily realities. Marroquín Winkelmann seems to have navigated these problems with finesse, as the resulting project is both revealing and purposeful, showing both the beauty and starkness of these communities. I would be interested to know how Marroquín Winkelmann managed this, but unfortunately there’s only trace information on this element of the project in the first essay, which I expect reads better in its native language than in the English translation. Ultimately, we are left with the pictures, which are wonderful. They succeed in occupying a surreal space between documentary and staged photography, one in which the world seems both impossibly beautiful, but also strikingly real. Much of this is achieved through the lighting, which is perhaps the most obvious indication of staging in this series. The lighting transforms what could easily have become straightforward documentary shots into something more cinematic, more meditative. 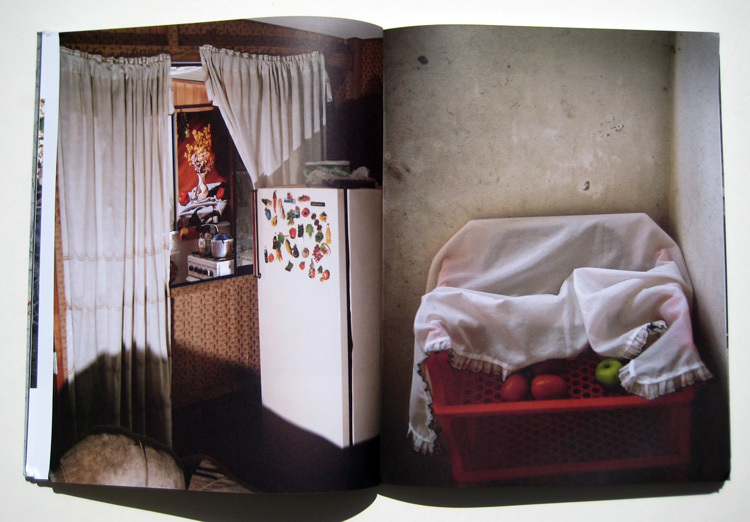 Images of people going about chores, children playing and modest arrangements of food become more arresting, more iconic.